Vantage Legal Protect provides a wide range of contractor legal services to support contractors across the United Kingdom. Checking your contracts, handling disputes with agencies and end clients, handling any personal legal issues faced by the contractor, providing general legal advice, Vantage Legal Protect can help. Vantage Legal Protect aims to provide accessible, effective, practical advice; work to settle disputes efficiently and effectively; and achieve the best possible outcome for all clients. Restrictive covenants – the contractor must be aware of any restrictions imposed on them by way of their previous employment and the potential implications this might have on them when they go freelance. Company formation – setting up a new limited company; awareness, understanding and compliance with company law. Signing new contracts and renewal of existing contracts – for example: contracts with agencies or end clients; it is important to make sure that the contract is fair, does not contain any onerous obligations for the contractor, and that it allows for termination on reasonable grounds. The contractor needs to protect their position and avoid being bound by an unfair contract. Payment delays – to avoid cashflow problems you need to be paid the right amount, and on time. The contractor may require external assistance in the event that payment is delayed, or refused by their end client or agency. Problems with agencies or end clients – contractors can occasionally find themselves at odds with their agency or end client. Whilst most issues can be resolved without the need for external assistance, the contractor may require support in order to resolve more serious disputes. These are just a few examples of situations in which Vantage Legal Protect can support contractors by providing legal advice or representation services. Cash flow is vital to every business, so unpaid bills can cause serious problems. Therefore, Vantage Legal Protect is delighted to offer businesses a highly competitive debt recovery service relating to unpaid invoices. The aim of the Debt Recovery Service is to offer businesses and individuals a service which is both competitively priced whilst being highly effective. In some instances, a chaser letter can be enough to prompt a debtor to make payment. Therefore, VPL will send a chaser letter to the debtor reminding them that the invoice is due and owing. The fee for sending the chaser letter is £15.00 + VAT. If you would like to instruct VPL to send a chaser letter, kindly visit the Vantage Debt Recovery Services Page. If the chaser letter is not successful, the next step will be to send a formal letter before action. The fee for drafting and sending the letter before action is £50.00 + VAT. If you would like to instruct Vantage kindly visit the Vantage Debt Recovery Services Page. Contracts can be lengthy documents that are full of legal jargon and difficult to interpret. An understanding and knowledge of contract law is beneficial but we don’t all have time to read the latest textbooks on the subject. When a contract is put forward by an agency or end client you have an opportunity to review and challenge any of the terms and conditions you feel are unfair or particularly onerous. Some people will sign contracts without carefully reading them from cover to cover and taking time to fully understand the implications of each term and condition. The implications of signing a contract without full appreciation of the terms and conditions can be significant. We recommend that contractors carefully read the contracts put forward to them, and take time to ensure that they understand all the terms, conditions and obligations imposed by the contract. If in doubt, the contractor should seek to have the contract checked by a suitably qualified individual. Vantage Legal Protect can help and offer a Contract Review Service. Whether you need someone to review a contract offered to you by your agency or end client, if you need someone to draft a bespoke contract for services, or you just need some advice, our experienced solicitors are able to help. Many disputes between contractors and their agencies or end clients can be resolved amicably via correspondence between the parties, however, more complex matters may need to go through mediation, or even Court proceedings, in order for a resolution to be found. If you find yourself involved in a dispute, whether you are trying to defend or pursue, whether you are simply looking for advice or require representation, Vantage Legal Protect can help you. Vantage Legal Protect takes time to understand the client’s requirements before providing accessible, effective, practical advice on the best means of resolving a dispute. When instructed to provide representation services, Vantage Legal Protect works to settle disputes efficiently and effectively, and to achieve the best possible outcome for all clients. Vantage Legal Services Limited is a company registered in England and Wales under number 08255656 and with its registered office at: Windsor House, Troon Way Business Centre, Humberstone Lane, Thurmaston, Leicester, LE4 9HA. Vantage Legal Services Limited is authorised and regulated by the Solicitors Regulation Authority under SRA number 611754 and its professional rules can be accessed at: www.rules.sra.org.uk. 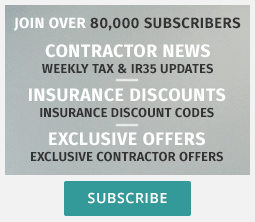 Other than IR35 status, what should you have your contract reviewed for?